Happy April! Anna and Bailey hope everyone had a fantastic Easter and is enjoying the beautiful springtime weather! Someone was quite excited for this months Chewy goodies! Today they are coming at you with their monthly Chewy.com goodies, and sharing with you their thoughts and reviews on various pet products! 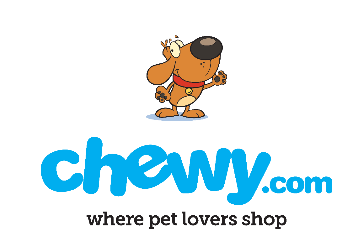 As always if you are unfamiliar with Chewy.com, they are an online pet supply store for cats and dogs. They offer a wide variety of anything pet related! Anna and Bailey give them their approvals! This month the girls got the chance to try out 3 different products. Since it is spring, if you are a pet owner you will know what that means... shedding. If you're like me, and have multiple animals, pet hair can be found almost everywhere no matter how much cleaning you do. To cut that, I like to brush Anna and Bailey multiple times a week. 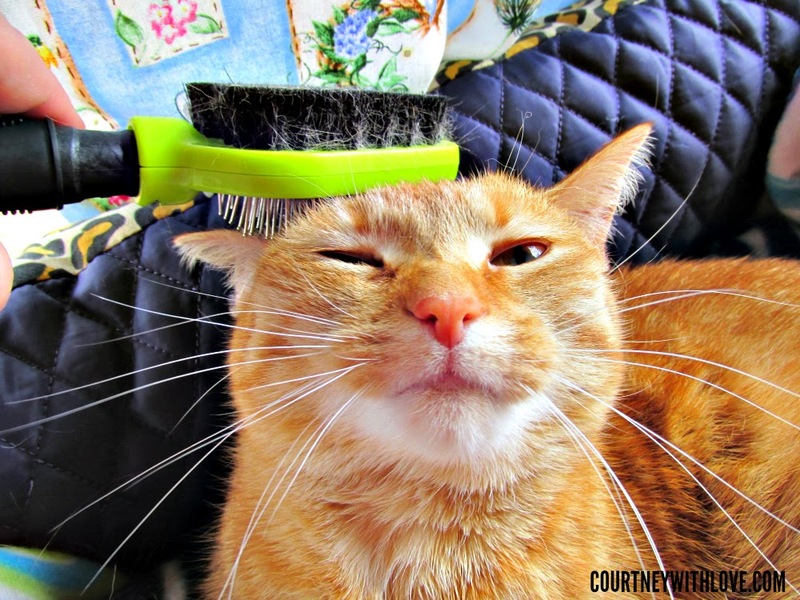 Anna loves to be brushed and cannot get enough of it. Bailey on the other hand isn't so much a fan of it. With the weekly brushing, I find that the shedding pet hair is becoming less and less around the house. Anna loving every moment of being brushed! The faces Bailey makes just cracks me up! First thing they tried is the Furminator. I know, I love the name too! This brush has dual sides, one with metal bristles that can get right down into the undercoat and really get rid of any loose fur. 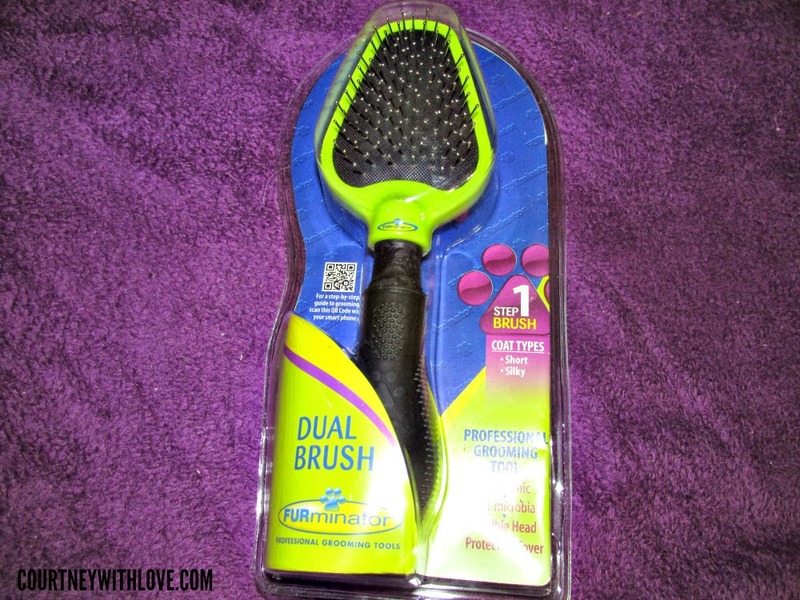 The other side is a softer brush which is great for smoothing down the coat, and giving a polished, well groomed look. Anna naturally loved this brush, and could not get enough of it! 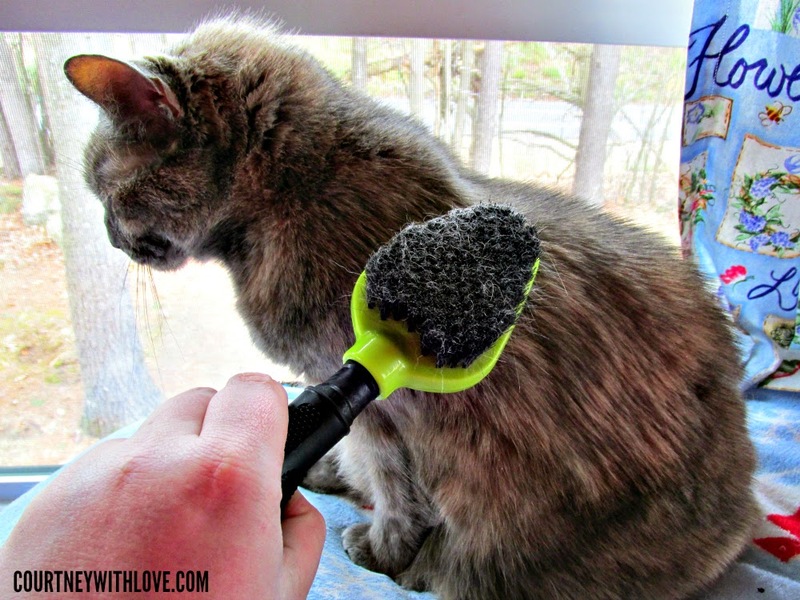 Bailey didn't mind it, then again being brushed isn't on her top priorties list! The brush removed a lot of loose fur, and has definitely been helping with all the shedding. It has also helped in limiting the amount of furballs they have. Naturally Anna and Bailey appreciate that, they don't like when they look like lunaticks running around the house making crazy coughing sounds! 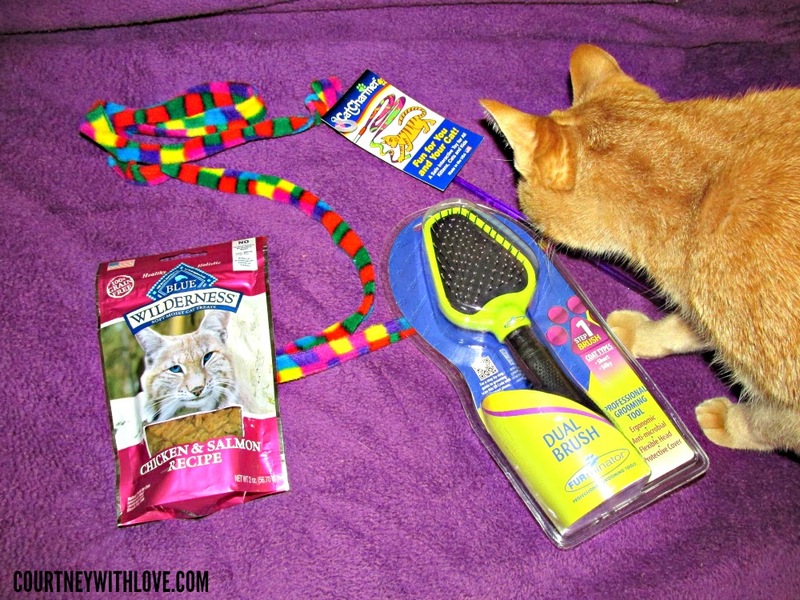 So for the Furminator, Anna and Bailey give it a 5 paw rating! 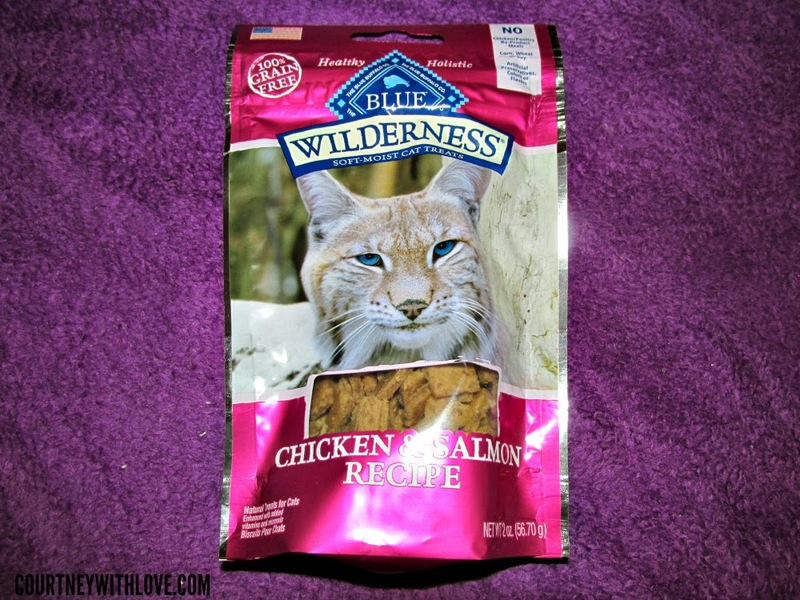 Second thing they tried this month is the Blue Wilderness Chicken & Salmon Recipe Soft Moist Cat Treats. Both Anna and Bailey liked these, but I think for them they are more into crunchy cat treats. Moist and soft ones, they just don't have the same appeal. They did eat them, and did seem to enjoy them, but they didn't go bonkers over them the way they have in the past with other cat treats from Chewy. They both give this a 4 paw rating! Last but not least is the Cat Charmer. 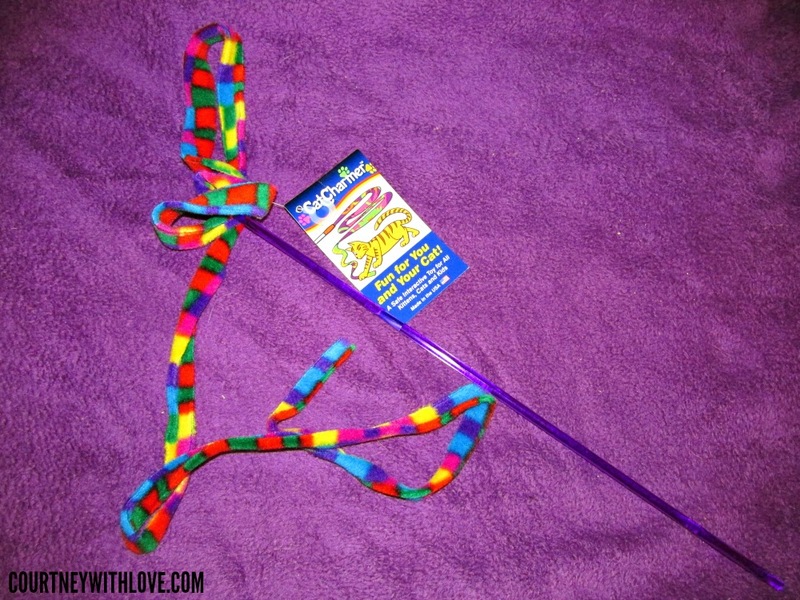 This is a very fun cat toy that features a long fleece piece of fabric that is attached to a handle. It reminds me of a dancers ribbon. Its quite long, and so much fun to twirl around. Bailey is the playful one of the 2, Anna is enjoying her retirement years, and will play on occasion. Since this is a toy, I decided what better way to see if Bailey likes it or not then to do a live demo! So here is Bailey trying out the Cat Charmer for the first time... Will she like it? Do you even have to guess what Bailey rated this?